The IndyCar race - Beat down!.. 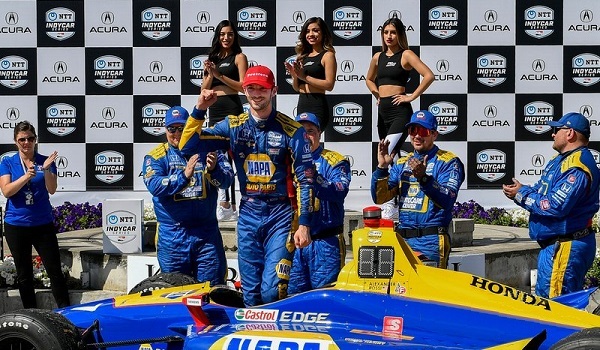 Alexander Rossi for Andretti Autosport repeats as the WINNER of the race and leads by over 20 seconds at the end. He led every lap except pit laps. It was a beat down on everyone else. P2 at the end was Josef Newgarden for Team Penske, improving from his P4 start. 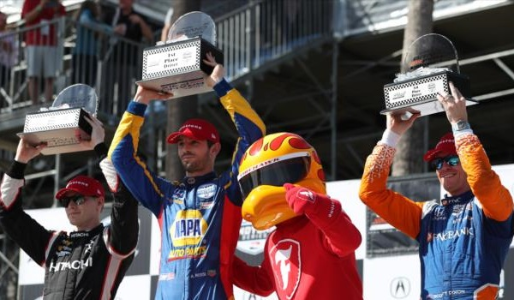 P3 was Scott Dixon for Chip Ganassi Racing, who was awarded the position when Race Control said Graham Rahal blocked him on the final lap. That decision may be challenged by the Rahal Letterman Lanigan camp. Behind Rossi the TOP TEN was alive with movement and no one ended up where they started, except for Takuma Sato for Rahal Letterman Lanigan who was P8 at the end. Scott Dixon went from his P2 start to P5 during his first pit stop due to great in-laps by Newgarden and teammate Will Power, and lost position again later, due to a fuel problem in the pits, but he was able to recover P4 and P3 at the end with on track passing, first getting by a fuel-starved Ryan Hunter-Reay for Andretti who was otherwise fast all day, and then the pass on Rahal on the final lap. Power went off course trying to defend against Dixon earlier in the race but recovered to end up P7 from his P3 start. Teammate Simon Pagenaud was just ahead of him in P6 from his P5 start. James Hinchcliffe for Arrow SPM was the biggest mover in the TOP TEN with a P9 from his P15 start. Best rookie of the day was Felix Rosenqvist for Chip Ganassi who started P12 and ended P10. Falling a bit was fellow rookie Pato O’Ward for Carlin who started P9 and fell all the way to P16 before recovering to P12 at the end. Colton Herta for Harding Steinbrenner started P10 but hit the wall in Turn 9 and put himself out of the race - the only DNF and a P23 finish. There was only 1 full-course caution and it was on the first lap, when Marcus Ericsson for Arrow SPM speared Jack Harvey for Meyer Shank with SPM in the rear around the fountain. Caught up in that was Spencer Pigot for Ed Carpenter . All would rejoin but at least 1 lap down and Ericsson earned a drive-through. Rossi not only dominated the proceedings but set the Fastest Lap in the process. He never cruised but was always on the edge, inches away from the walls. 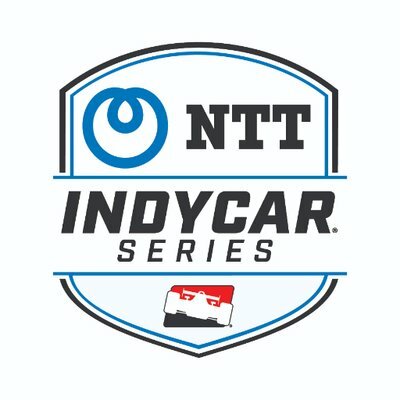 The teams finally get a slight break from racing but most will be going to Indianapolis for a quick test on the IMS oval at the end of the month. The next race will then be on the road course at Indianapolis for the IndyCar Grand Prix, May 9-11. The full slate of Road to Indy series will also join them. This was the last race of the weekend and a fitting end to the festivities! The next scheduled races for the SSTs will be announced shortly and we will name them in the “Off-Season” thread. Hey Marky, what are your thoughts about the Advanced Frontal Protection that will be used instead of the F! Halo style? I would hope that they have done enough testing to be sure that it will work in most cases. I’m all in favor of no halo, if at all possible, GW. Let’s see if it is possible.